I think that we need to lay to rest the idea that you cannot do matrix operations in SQL. They are just as easy as they are in a procedural language. One just needs a clear head and think in terms of set-based operations. If you’re not aware of the usefulness of matrix operations, then you’ll be surprised. They underlie a lot of linear equations and statistics (We do a cool Orthogonal Factor Analysis in SQL!). They’re used a lot in games programming, and bitmap manipulation. We tend to use them for sticky SQL problems such as reserving seats or timetabling. 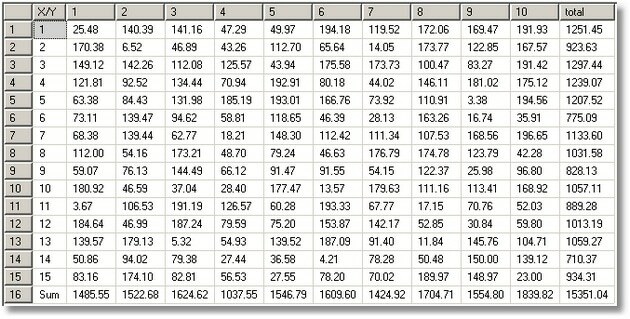 Once you’ve started, you’ll find a lot of SQL problems that can be solved with matrices. (Just in case the formatting goes awry, we’re including the SQL Source file in the downloads at the bottom of the article.) Please remember that this isn’t production-quality code: as in all of our workbenches, we’re keeping things simple to illustrate the points as clearly as we can. We’ll create a table to store two-dimensional arrays that contain an exact number with two digits precision. You’ll see that we can create any number of matrixes in this array, which cuts down on the chore of creating tables. It also means that functions and procedures can be hardwired to a common matrix table. Of course, you would create the ‘element’ type according to your data. Yes, this allows the use of sparse arrays, but you would usually need to handle gaps. Note the compound primary key. 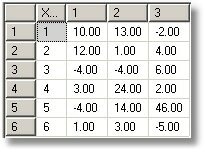 This automatically prevents duplication of data in a cell (try it in order to convice yourself) and provides a reasonable index for most operations. If you use very large matrixes, you will need to provide an extra covering index. 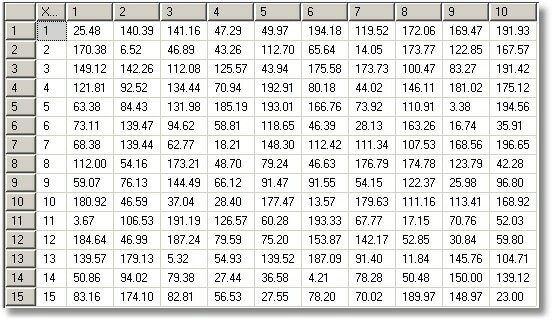 Now let’s fill matrix ‘A’ with some spoof data so we can just do some simple stuff such as summing the rows and columns. WHILE @ii <= 10 -- loop around as if we were C# programmers! Note that, if you are using sparse arrays, you may need to do this. First, we’ll put in a few drips and drabs of data. If this is tedious, then use a procedure. Well, of course it’s tedious! And while we’re about it, we’ll add a procedure to do a simple matrix. This will just be a cut-down version of the one above. Okay, let’s try them out! In order to do a few common matrix examples, we need to devise a few helper functions to allow us to get matrix data in there easily, in the format that is easy to check for errors. This is very handy when you are doing regression testing. BEGIN --create it and stock it. --right lets stock it. Jeff would hate this code. Now we can add the function that takes a string representation of a matrix, just like you see in the textbooks, and returns the SQL equivalent (please try it out just to see what it does). It could be done iteratively, but we have opted for the must faster TSQL-Special technique. If you are using a different dialect, you’ll have to do it the slow iterative way instead, but we’re using SQL Server! So let’s test it out now…. Wee!! that worked, didn’t it! And let’s see the result…. So scalar arithmetic is absurdly simple and need concern us no longer. Here is how we do Matrix Addition. And matrix subtraction is just as easy. And now let’s see it! So you think you can do the same thing with matrix multiplication eh? Just use a ‘*’ instead of a ‘-‘? Think again. this is where it gets more complicated. Or we can do it vertically (sentiment about the variable applies here too). Fine, so how do we do Matrix transposition? So now, just to finish off with a flourish, we’ll reverse-out our MatrixValuesOf Function, so we can represent the results in a string. This means that we could make an easier test harness and could squirrel matrixes away in string form. So, what goes in comes out (it took a little bit of heaving and grunting). So this is as far as we’ll take it in this workbench and we’ll leave you to figure out a few little puzzles such as inversion and determinants. Now, the next puzzle is how one can use these techniques to solve other programming puzzles. It would be fascinating to learn how this sort of technique can be used. We’ll see what we can do. It will have to be teased out of a larger package, and we’ll have to get the permission of the people we wrote it for. It might be nice to put in Codeplex. It is taken from a Fortran original and is close to Spearman’s method! There is a long story attached to it, which boils down to the bizarre conclusion that, if the weather in Chicago is bad, the futures for many UK agricultural products goes up. As a set based language SQL is about half way there but for the domain in question – matrix manipulation – is no where near as much of a thought sprinter as Ken’s proteges, viz the apl and j languages. Of course Iverson’s focus was different from sql in that he was attempting to bridge the discontinuity between programming languages and mathematical notation – to do away with the need to “translate” back and forth as part of the thinking process when working with generalised algebraic expressions and while minimizing algebra’s own expressive anomalies at the same time. As a first attempt at this apl and j remain unsurpassed for compactness and expressive elegance. If there is a crticism to be leaveraged at languages dubbed “write only” for the way they are able to replace pages of undocumented conventional code by single lines of undocumented code it is perhaps that no one has attempted to fill this perceived productivity gap with a superior alternative to Iverson’s notation. Of course whether a language written by a committee could ever bridge this gap is an entirely different point of contention! A good piece of code twisting. Like it. and in addition to that you are the most beatiful blogger on the planet! I’ve just wondered about matrix in SQL and now I can applicate this. Thanks! like Phil or like me? Thanks for the such awonderfull code. really I wanna Be like you. I think where you have liberally sprinkled SimpleMatrix ‘X’ throughout the code you meant to put in AggregateMatrix ‘X’ as SimpleMatrix is a matrix creation routine (which overwrites the results previously concocted), AggregateMatrix displays it. Thanks for the top notch code though. Sorry for the above, I was deeply confused and wrong. just i need it. Thank you.